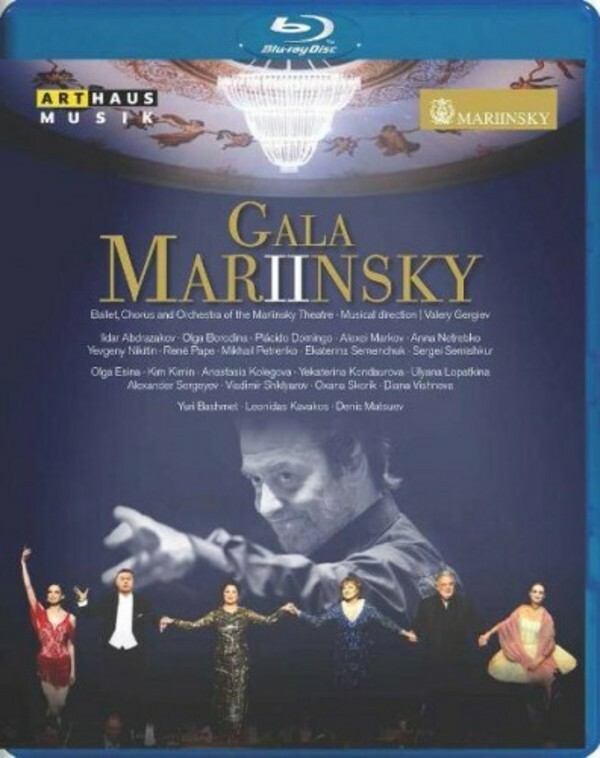 Live recording from Mariinsky II in St Petersburg, May 2, 2013. The Mariinsky Theatre in St Petersburg is one of the most prestigious opera and ballet venues in the world. Built in 1860 and named in honour of Maria Alexandrovna of Hesse-Darmstadt, wife of Czar Alexander II, it is home to the famous Mariinsky Ballet as well as numerous international stars and ensembles. After the turn of the millennium, it was painstakingly restored, and since 2013, St Petersburg�s Theatre Square has been crowned with the 'Mariinsky II' - an imposing new arts and performance venue. At its inauguration on May 2, 2013, the highly gifted conductor Valery Gergiev led a veritable who�s who of the classical music world. Featuring gems from opera, orchestral music and ballet, and with modern dance interludes, the programme encompassed the history of the legendary venue from its beginnings to the present day. This broad historical span was symbolically represented by a bridge connecting the Mariinsky Theatre and the Mariinsky II. Arthaus Musik is now offering you a unique opportunity to own an enduring reminder of this unique performance, in which stars including Anna Netrebko, Placido Domingo, Olga Borodina, Vladimir Shklyarov and Ren� Pape, supported by the Mariinsky Theatre chorus, orchestra and ballet, celebrate the spirit of this illustrious establishment.